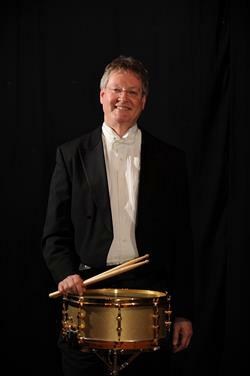 Richard O’Donnell has been the Section Leader, Principal Percussion of the National Symphony Orchestra of Ireland since 1997. Previous to this, he was a member of the RTE Concert Orchestra (Ireland), The National Symphony Orchestra of Colombia, and the Basque National Orchestra in San Sebastian, Spain. He has appeared as an orchestral soloist on numerous occasions with each of these orchestras and with these orchestras alone has performed on over 100 commercial CD’s. Outside of the orchestra, Richard has been particularly active in the field of contemporary music. He has been a member of Concorde for over 25 years and in addition has performed with the Crash Ensemble, Vox 21, as well as various freelance ensembles. With Concorde he has participated on over 15 international tours and 20 national tours and has appeared on numerous CD’s as a percussionist and Conductor. In the field of education, Richard is currently Professor of Percussion at the Royal Irish Academy of Music where in addition to his teaching, he is also the director of the percussion ensemble. As well as commissioning over 20 new Irish works for percussion ensemble, Richard has led the ensemble on 16 international tours to the USA, South America and Europe. In addition Richard is the Regular tutor for the National Youth Orchestra of Ireland. Many of Richard’s students have particularly successful careers in music and currently have positions in the RTE National Symphony Orchestra, RTE Concert Orchestra, the Army #1 Band, and in orchestras in Germany and South America. Richard has a Masters degree from Brooklyn College of the City University of New York and a Bachelors degree from Indiana University.